WASHINGTON–(ENEWSPF)–July 7, 2016 – Sen. Bernie Sanders (I-Vt.) and Rep. Elijah Cummings (D-Md. ), ranking member of the House Committee on Oversight and Government Reform, on Thursday sent a letter to Food and Drug Administration Commissioner Dr. Robert Califf urging the agency to approve all eligible applications to produce a generic version of the blockbuster drug for high cholesterol Crestor. 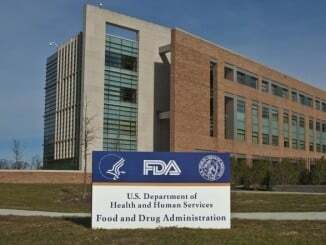 While approval of generic versions of Crestor could drastically reduce health care costs, both for individual patients and for the U.S. health care system, AstraZeneca is currently suing the FDA to extend their monopoly period on Crestor. Crestor is one of the world’s most widely prescribed medicines for high cholesterol, with global sales of more than $5 billion last year, including $2.8 billion in the United States. It was prescribed more than 20 million times in the United States last year and has a retail price of $260 per month. AstraZeneca recently secured a seven-year exclusivity extension under the Orphan Drug Act to sell Crestor to treat children with a rare genetic disease and is now arguing that the company should be able to extend its monopoly for all uses of Crestor. “AstraZeneca is attempting to exploit an old loophole that has been closed by Congress and disavowed by the courts,” the members wrote in the letter to Califf. Reps. Marcy Kaptur (D-Ohio), Lloyd Doggett (D-Texas), Jan Schakowsky (D-Ill.), John Sarbanes (D-Md. ), Steve Cohen (D-Tenn.) and Peter Welch (D-Vt.) also signed the letter.